Ireland’s next generation of track and field stars performed brilliantly on the final day of competition at the European Youth Olympic Trials in Baku. 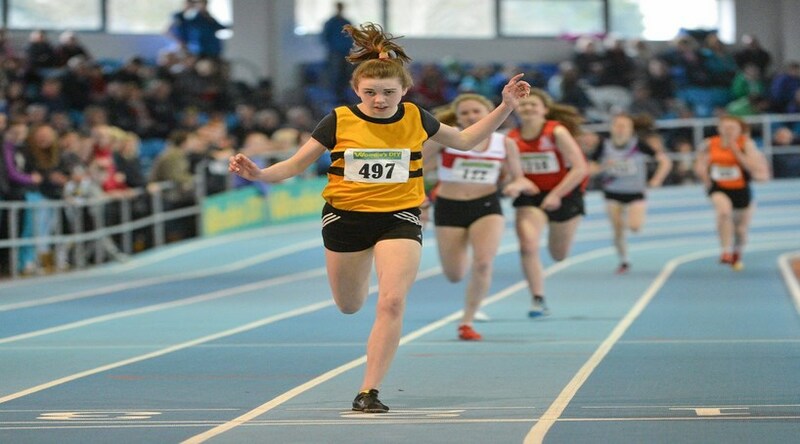 The highlights from day three of the championship included Eoin Sheridan (North Westmeath) and Louise Shanahan (Leevale AC) excelling in their respective Discus and 800m events. Both athletes will now stand a very good chance of going on to represent the European Team at the 2014 World Youth Olympic Games to be held in Nanjing, China in August. In the Discus qualifying round Sheridan produced a marvellous new personal best of 58.44m to seal his place in the final. Although he couldn’t quite match this mark in the final itself he still threw 54.84m to finish in sixth place overall. Shanahan was involved in a tactical 800m race with the leaders reaching half way in 66.23, the race came down to the final 200m with the whole field still in contention. Shanahan dug deep and battled all the way to line to finish in fifth place in a time of 2.11.70. Another athlete excelling at the event was Swinford AC’s Michaela Walsh in the Shot putt event. In qualifying Walsh performed brilliantly by throwing a new personal best of 15.33m to comfortable qualify for today’s (1st June) final. Walsh was little bit down on this mark in the final recording a best of 14.55m to finish in 10th place. This also puts her in with the chance of making the European Team. It was encouraging to have two High Jumpers Donagh Mahon (Gowran AC) and Keith Marks (Cushinstown AC) contesting the final of the High Jump. Mahon cleared a new season’s best of 2.06m to finish in seventh place while Marks equaled his personal best of 2.03m to finish in tenth place. Roseanna McGuckian (City of Lisburn AC) and William Crowe (North Sligo AC) did well to reach the respective 200m and 1,500m finals. McGuckian finished seventh in her final in a time of 24.66 while Crowe finished 13th in his in a time of 4.22.03, both these young athletes will have learned a lot from the championship experience. On confirmation Athletics Ireland will announce the details of the Irish Athletes that have qualified to represent the European Team at the 2014 World Youth Olympic Games to be held in Nanjing, China in August.